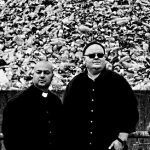 Background/Info: Jens Minor and singer Kay Schäfer (who now became a full time member) are back on track unleashing a new opus of Chainreactor. The project became a kind of ProNoize flag holder and definitely a noticeable project if you like dark-electronics and industrial-techno/rave music. Content: “Decayed Values” moves on where previous releases “Dirt” and “Mass Driver” stopped. 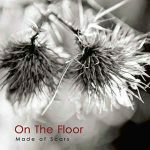 The songs remain inspired by dark-electronics and industrial-rave music, but quite progressively you can hear this band evolving from the ‘rave’ input towards more ‘classical’ dark-electronic music. They in a way bring elements of Noisuf-X and Combichrist together. The vocals, which become more present on each new album are sung a raw and enraged way reinforcing the element of ‘violence’ running through the music. + + + : I still consider Chainreactor as one of the most talented artists belonging to this ‘new’ generation of dark-electronics. “Decayed Values” once again reveal the genius of Jens Minor who has a nose to create alluring sound sculptures mixing icy and raving sounds together with hard-pumping kicks. Some of the tracks are resulting in a trance atmosphere, but other cuts are touching ground with power-noise. 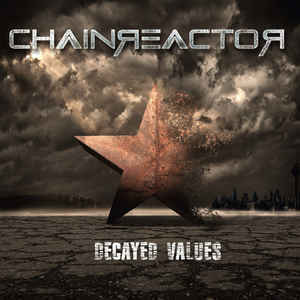 There’s a lot to discover on “Decayed Values” and that’s why this album will appeal for a wider range of electronic lovers. – – – : This is without a shadow of a doubt the most diversified Chainreactor work and I have to admit I’m a bit missing the pure trance/rave-industrial format from the early years. Conclusion: Chainreactor is a project that has progressively evolved throughout the years. There’s not a big difference between this album and the previous one, but if you go back to the first work you’ll realize the evolution. It’s a great album I can fully recommend, but not my favorite one in the Chainreactor discography. Best songs: “Legendary Suffering”, “The Devil’s Trick”, “Impact Drill”, “The Powers”.